I spent some time yesterday [15 August 2014] in Roundwood, the Co Wicklow village that claims to be the highest village in Ireland. Earlier in the afternoon, we met up with two friends who are visiting Dublin for the weekend. They live in Saffron Walden, and he and I have been friends for the past 30 years, since we began studying for a Maynooth BD at the same theological college in 1984. Since then, we have kept in touch across the continents and through family changes and house moves, and we continue to meet regularly, whether it is in Saffron Walden, in Cambridge or in Dublin. Four of us met for lunch in the early afternoon in the Happy Pear in Greystones, Co Wicklow, and although we seemed to linger for some time over our coffees, reminiscing about friends and life events over the past three decades, we eventually went for a walk on the beach and then for a stroll through Greystones. This ought to be summer, and there were clear views across Dublin Bay as far as Howth. But the clouds were grey, and while some families were on the beach, there was only one yacht out at sea and it certainly did not feel like the beginning of a summer weekend. Later, we decided to drive south to Kilcoole, but by now the tide was coming in and there was little opportunity for walking on the beach there. We drove past Druid’s Glen and through Newcastle up to the Vartry Reservoir, near Roundwood. Out on the water, one lone angler was moving under the bridge from one lake to the other, using a silent engine as he cast his line in the evening lights. From the Vartry Reservoir, water from the River Vartry is piped from the Wicklow Mountains to a large reservoir in Stillorgan in south Dublin. The Vartry Reservoir scheme was a major Victorian undertaking that involved redirecting and damming the River Vartry, and building a series of water piping and filtering systems to carry fresh water down to the city. A Dublin Water Works Committee was established in the 1860s to develop a new water supply to Dublin and the suburbs. Between 1862 and 1868, the lower reservoir was formed by building an earthen dam across the valley of the River Vartry. The committee was chaired by Sir John Gray (1815-1875), a surgeon who was also the proprietor of the Freeman’s Journal, Liberal MP for Kilkenny, and a supporter of Charles Stuart Parnell’s Home Rule Party. Grey’s efforts to establish the Vartry scheme were honoured with a knighthood in his lifetime and with a statue in Dublin’s O’Connell Street after his death. The Vartry scheme was formally opened over 150 years ago, on 30 June 1863, and quickly improved living conditions and public health in Dublin, reducing outbreaks of cholera, typhus and other diseases. The original or lower reservoir at Roundwood was finished in 1863, and has a capacity of 11.3 billion litres and a maximum depth of 18.3 metres. A second embankment, 3.5 km upstream, was completed in 1923 to form the upper reservoir. This has a capacity of 5.6 billion litres and a maximum depth of 13.4 metres. From there, we returned through Rathdrum to Roundwood, which claims to be the highest village in Ireland. But it also has a climbing population: it had a population of 518 in the 2002 census, and 833 in the 2011 census. We stopped for a few glasses of wine in the Roundwood Inn, a pub and restaurant in a 17th century house, and by the time we left to head back to Dublin darkness was beginning to envelop the Wicklow Mountains. Roundwood has a close association with two former Presidents: Seán T O’Kelly lived nearby and Erskine Childers is buried in the Church of Ireland churchyard nearby in Derralossary. Erskine Childers and the Kilcoole gunrunners of 100 years ago came to mind this afternoon when two of us visited the national Museum at Collins Barracks to see the Asgard, the yacht used by Erskine and Molly Childers in the Howth gunrunning on 26 July 1914, shortly before the Kilcoole gunrunning on 2 August 1914. Before the foundation of the Irish Free State, Collins Barracks was the Royal Barracks. After Christ Church Cathedral, Saint Patrick’s Cathedral, Dublin Castle, and the Royal Hospital Kilmainham, this is one of the earliest public buildings in Dublin, and was built from 1701 on the site of an asylum where the Duke of Ormonde originally planned a place on the edges of Dublin. Before visiting the Asgard display, which is housed in a separate display area in the museum, we had a late lunch and coffee in the café looking out onto the main square of the old Royal Barracks. The complex has several large squares, each open on the south side. The largest square, Clarke’s Square, has arcaded colonnades on the east and west sides, and the main buildings are faced with granite. The Royal Barracks was once the oldest inhabited barracks in Europe, and over time the Irish regiments based here included various regiments of foot, the King’s Royal Irish Hussars, the Queen’s Royal Hussars, and the Royal Dublin Fusiliers. During World War I, 4,777 members of the Royal Dublin Fusiliers were killed in action. 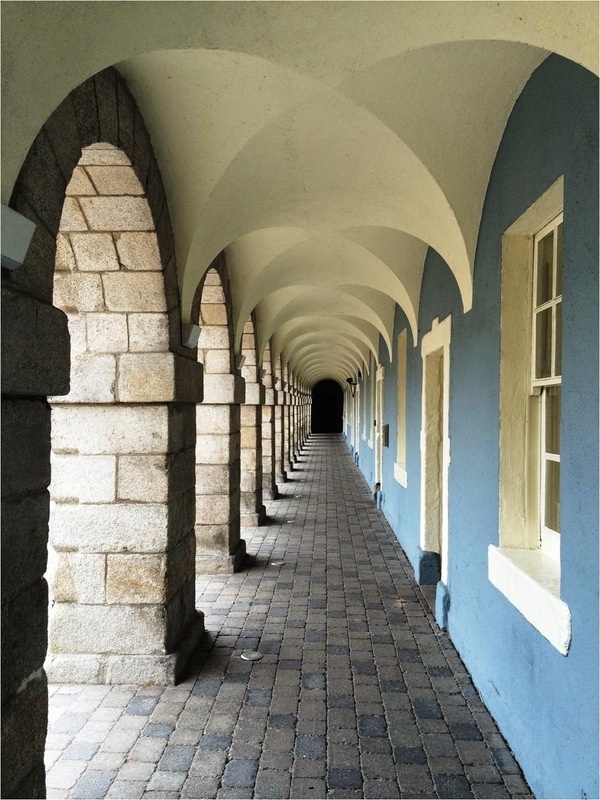 Since 1997, Collins Barracks is home to collections of the National Museum of Ireland, and the original buildings have received architectural awards for the redevelopment and conservation work carried out to house this new role. It may be an interesting exercise to see how many of these are open to visitors during the 1914-1918 commemorations.